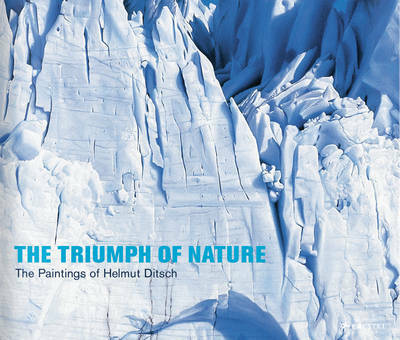 Created by the Buenos Aires-born artist and mountaineer Helmut Ditsch, these hyper-realistic paintings of mountains and mountain scenes add new meaning to the phrase "a breathtaking work of art". Executed with incredible precision, Ditsch's paintings convey the dizzying heights and serene grandeur of the mountains he has himself climbed. But they are more than photograph-like depictions of alpine scenery in Europe, North, and South America. These paintings draw their energy from Ditsch's ability to infuse his work with his love for mountaineering and his own experience of the summits. "When climbing a mountain and when I paint," he says in a conversation with his friend the famed mountaineer Reinhold Messner, "I feel as if I'm in the same situation. Without any real concern for my own safety I submit myself to nature. In my art I also try to perform a similar feat of strength, test the frontiers of possibility". This trilingual edition features one hundred colour illustrations and two fold-out reproductions.